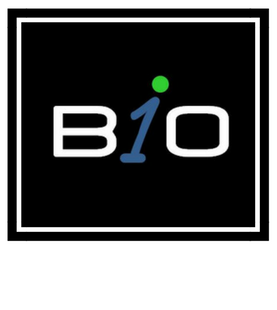 Biokinetics plays an important role pre- and post-surgery. Your surgeon might refer you to a Biokineticist prior to surgery to improve your physical capacity (which improves surgical outcome and minimises surgical risk) or post-surgery once you have reached a certain level of function / completed your physiotherapy. Therefore a Biokineticist forms part of the medical team that can help guide you through the joint replacement journey. “Minor surgery is surgery that happens to someone else”. This is a humorous anecdote but actually quite appropriate. Joint replacement surgery is a major life event. It requires a game plan / strategy. Planning for your surgery, and recovering after it, is an active process rather than a passive one. The medical team (surgeon / GP / Physiotherapist / Biokineticist) are there to assist and guide you through the process, but the most important thing is that you are involved in the process too. You are a team member. You are at the centre of it. And as a result you are equally responsible for the outcome. The hard work, and effort that YOU put in will be rewarded. As part of your planning for your surgery you can seek the advice from a Biokineticist / Physiotherapist to help in the creation of an exercise routine. Your exercise routine can be tailor made to suit your needs, and to ensure that you do not experience pain while doing the routine. It is not necessary to see the Biokineticist on a weekly basis. If you are disciplined enough to exercise on your own you can get a homework programme, which can save you a lot of money. Your routine can help in building muscle strength, improving flexibility, and increasing exercise tolerance. The gains in strength will help with post-operative walking and recovery. And even if you cannot train your “injured” / affected side you can train the unaffected side and upper body to make life easier for bed transfers and crutch walking. The stronger and fitter you are the easier your recovery will be. Seeing a Physiotherapist, and eventually a Biokineticist, post surgery can help with managing expectations. The Physiotherapist / Biokineticist can act as a mentor to guide you through the changes, and help you to understand what is appropriate post surgery and what is not. There are always goals to be attained, but never any fixed timelines as such. Each surgery needs to be managed on a case by case basis, as people respond differently to surgery. Your medical team is there to assist you in reaching your goals, and monitor that you are on the road to recovery. There is no point in using your new joint to stay the same. Before surgery you may walk with a limp, experience pain, or be limited in your active daily life. Obviously the new joint will be swollen and uncomfortable post surgery, but the medical team is there to help monitor and assist you back to full function. Seeing your orthopaedic surgeon for regular check ups to assess the scar, joint strength and range, as well as gait (walking pattern) is important. Your surgeon will arrange these milestones with you pre- or post-surgery. The goal of the Physiotherapist / Biokineticist will be to assist you with the joint range of motion, strength, general fitness and conditioning, as well as gait retraining. You may be required to make a couple of adjustments to your home environment following your surgery. They can be as simple as removing loose carpets and clutter so that you avoid trip / slip hazards. For more complex cases it is recommended that you seek the help of an Occupational Therapist to assist with the placement of ramps / rails / hoists etc. Some joints and joint replacements may come with a set of “rules”. The surgeon may wish you to avoid certain movements or joint ranges (at certain times). These rules will be communicated to the Physiotherapist / Biokineticist prior to your first consultation. The Physiotherapist / Biokineticist can then explain how to avoid those movements in day to day activities. Patients may also be required to see an Orthotist to purchase toilet seat raises, crutches, elevated cushions, or other devices that may be needed post surgery. These may not be necessary but certainly something to consider when budgeting financially for a joint replacement. In terms of exercise you will progress from in-hospital exercise rehabilitation with the Physiotherapist to out-patient rehabilitation with the Physiotherapist. Once you have reached certain milestones you will be cleared to exercise with the Biokineticist. It is important to remember that healing can take up to a year. That is not to say that you have to continue treatment for that long, but certainly you need to keep exercising and keep progressing. Far too many patients get limited results post surgery because they discontinue too soon. There is the misconception that the hospital exercises and walking will be sufficient. Remember there is a medical team. Your Physiotherapist and Biokineticist are not in competition with each other. They are team-mates and have different roles to play at different stages of your healing. This is essential. Having the right attitude is key. As Dr Mike Evans states: it is a balance of optimism with realism. Your attitude and effort will determine the outcome. If you are confused and the entire process is overwhelming don’t be afraid to ask for help. The medical team is there to help you. Ask your Surgeon or Physiotherapist if they feel that you may benefit from seeing an exercise specialist like a Biokineticist. Otherwise contact your local Biokineticist directly to discuss your case history. If you are not a suitable candidate the Biokineticist will refer you back to your Surgeon / Physiotherapist for more information / treatment.